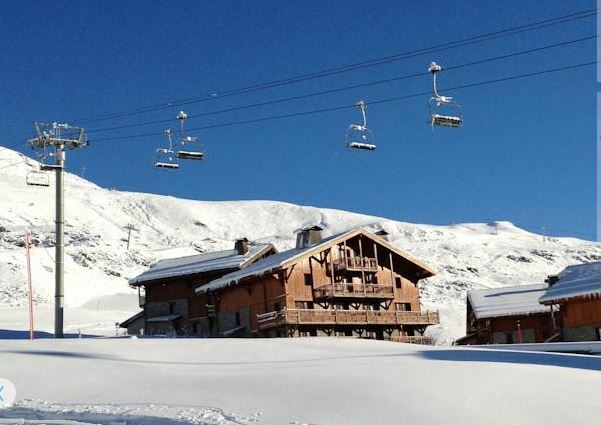 Sol Apartments, Les Menuires - 2 bedroom + cabine apartment, all ensuite, sleeps 6 to 8. 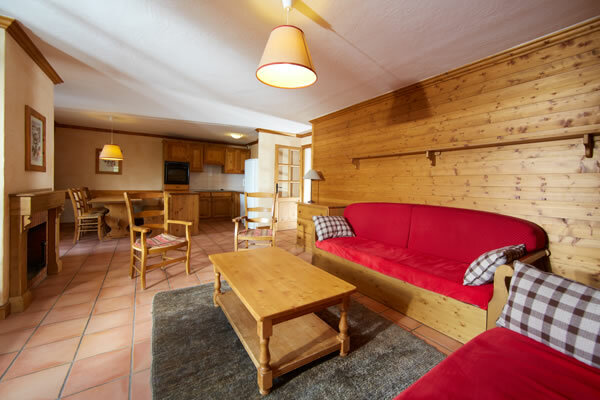 Three Valleys chalet apartments, ski in ski out in Les Menuires - Situated at the top of the resort in Reberty 2000, at 2000m altitude, the ski apartments are situated at the foot of the pistes, ski in ski out, in the largest ski area in the world - the 3 Valleys / 3 vallees, France. Spa treatments can be taken at the next door hotel – book and reserve in resort. 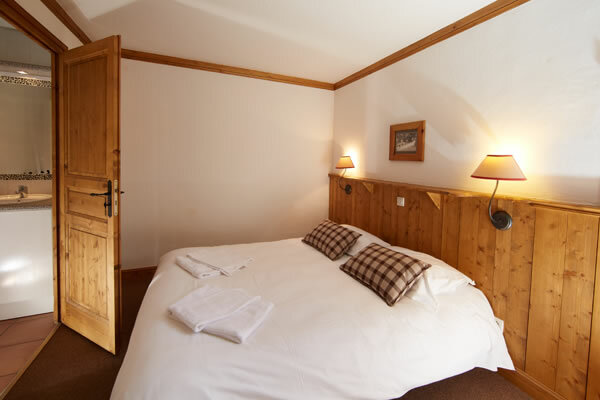 The apartments are spread between a number of chalet style buildings and furnished in the ever-popular Savoyard style. Each apartment has its own balcony, open log fire place (a bag of wood is provided), and a good ratio of bedrooms to bathrooms, including en-suite bedrooms in the larger apartments. Each apartment has a comfortable living and dining area, as well as a modern fully equipped kitchen. Each apartment has a comfortable living and dining area, with satelite LCD TV with International channels, CD and DVD player, log fire. Kitchen: Dishwasher, fridge, hob, electric oven, microwave, kettle, coffee machine, pots and pans. - Sheets and duvets covers, beds made on arrival. - Towels and kitchen linen. - Cleaning products provided on arrival. - A DVD and CD reader. 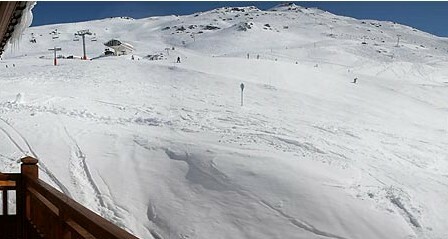 - An individual ski locker with shoes dryer. - A free Wi-Fi Internet connection. - A covered parking space per apartment. - Direct dial telephone (excluding communications). - Loan of raclette and fondue equipment. - Spa in the Chalet Hotel Kaya****, on reservation only. - Bakery: delivery of bread and pastries on order at the reception. le confort et les services de la résidence : garage. SPA, magasin de sport… à l'hôtel KAYA (ouvert l'hiver, à côté de la résidence). Salles de bain : 3 (douche ou baignoire), dont 1 dans chaque chambre. 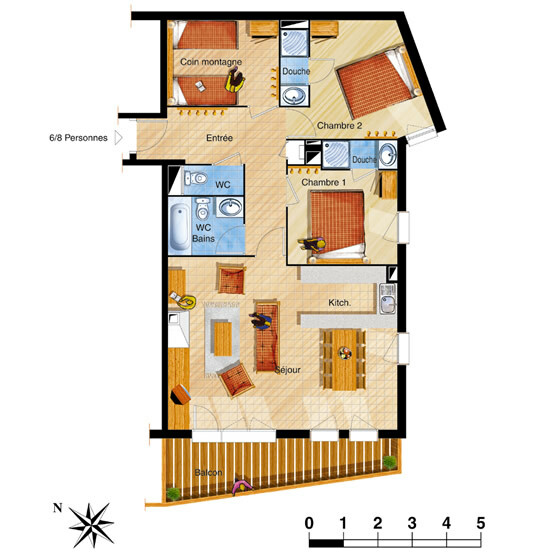 Les appartements Authentiques, vous immergent dans l'atmosphère des anciens chalets de montagne, un lieu de vie authentique et chaleureux pour se retrouver entre amis ou en famille autour du feu de cheminée. Service boulangerie : livraison de pains et viennoiseries à la réception sur commande. Location de linge de toilette supplémentaire : 5 € / personne (incluant un drap de bain, une serviette, un tapis de bain offert). Cheminée dans les appartements et sac de bois (hors courts séjours) – 12 € le sac supplémentaire.